Whether you're hiking, camping, driving, or at home, you could be caught in an emergency situation. The Tactix™ 11 in 1 Survival Kit has the essential tools you may need when you least expect it. 11 HIGH-QUALITY ITEMS IN 1 - Kit includes Waterproof case, Flashlight, Portable Mini Light, Compass, Multi-Function Saber Card, Camping Knife, Whistle, Tactical pen, Emergency blanket, and wire saw. 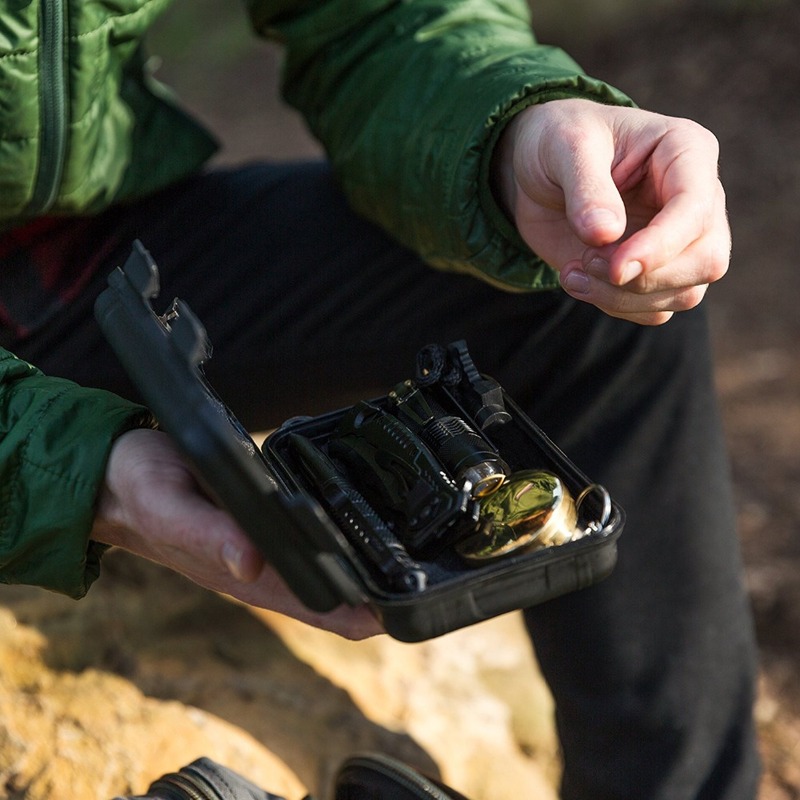 LIGHTWEIGHT & CONVENIENT KIT - The case is 6.6 x 4.3 x 1.9 inch ( 16.8 x 11 x 5cm) and Weight only 1.11 pounds. 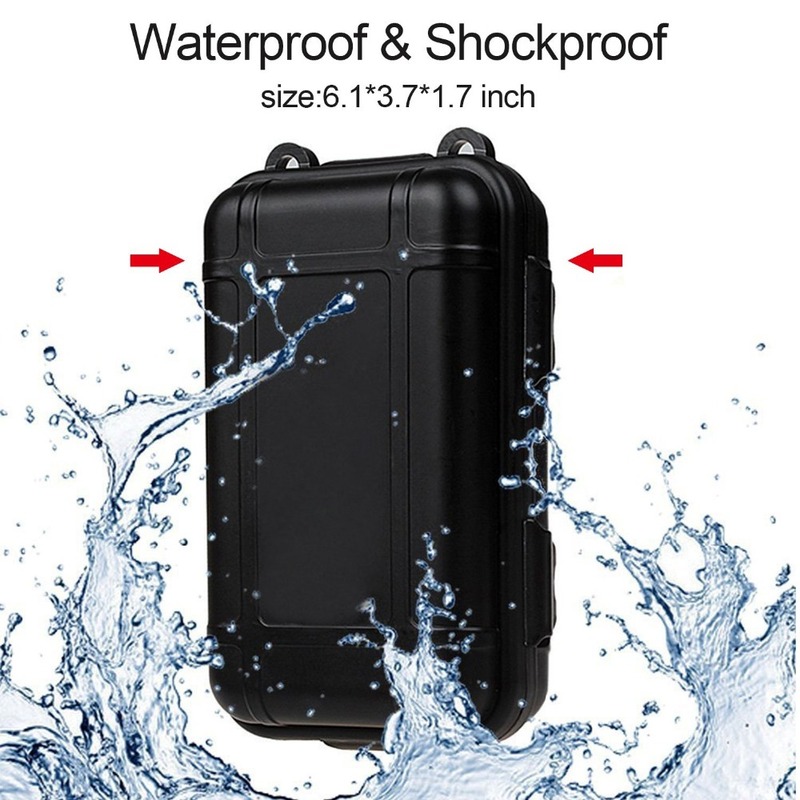 It is waterproof and shockproof so your emergency supplies are safe and secure no matter the situation. MAKES A GREAT GIFT - This makes for a fantastic gift for outdoor adventurers, backpackers, survivalists, military personnel, campers, hikers, hunters and people who love the outdoors. Everything in it is useful. Small enough for a purse, perfect for a glove box. Easy enough to take on any adventure. Cool all in one solution.I got this for my hunting trip and I actually keep this in my car now. Has all the survival tools you could think of in one package and everything works as described. You get a whole bunch of effective items and it all fits in one solid easy to take anywhere case. Love it!